Console 1 is a great idea, merging plugin console emulation with custom hardware. This gives the user a common surface to reference controls. 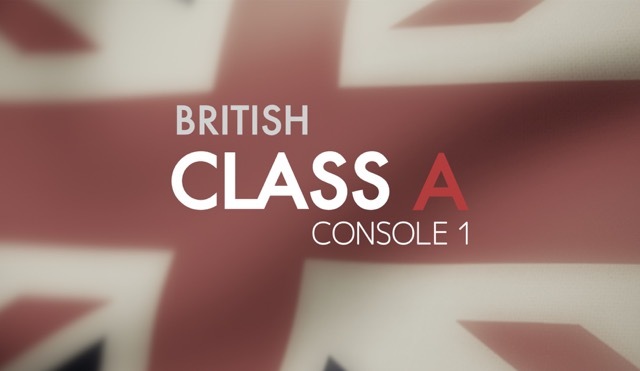 Now the sound of a very famous British Class A Console is at your fingertips. Softube collects the most coveted and distinctive-sounding units of the pro audio world in a single channel strip, tightly integrated with the Console 1 hardware. British Class A For Console 1 is a world-class plug-in incorporating a highly-prized classic EQ, compressor, limiter, gate, and input stage, bringing top-quality British sound within reach of the everyday studio. Treat your sound to the fat transformer crunch of the input stage, get great tone with the honey-sweet equalizer, control dynamics with the beautifully musical compressor, smash them into oblivion with the limiter, and keep things tight and tidy with the smooth gate. With meticulously modeled transformers and discrete Class A circuitry, doubled mid-band EQ, and killer presets, Softube have raised the bar in authentically capturing the muscular, fat warm sound of classic British mixing. Nothing else brings the tight integration of hardware and software that you get with Console 1, allowing hands-on control and super-fast workflow. In fact, it’s so easy you can mix with your eyes closed. Channel emulation for Console 1 with EQ, compressor, limiter, gate, high/low cut filters, and input stage drive. Based on vintage British hardware units.